Have $250,000 lying around? Get some nail polish! 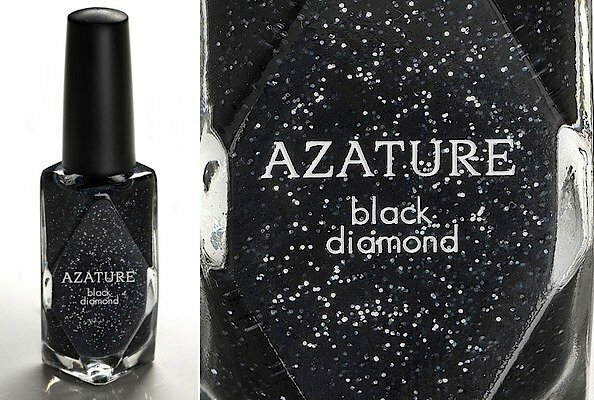 No, really, for just $250,000, you can score the latest launch from celebrity and royalty designer AZATURE: Black diamond nail polish. Yes ladies and gents, you heard us right…NAIL POLISH – for $250,000! Clearly directed at those with cash to burn, the self-dubbed “most expensive nail polish in the world” gives a whole new meaning to the phrase “dripping in diamonds.” The limited edition, one-of-a-kind AZATURE Nail Polish (honestly folks, there is only ONE bottle of the stuff) contains 267 carats of black diamonds! And no, this diamond does not last forever. Want to get in on the black diamond manicure fun but haven’t quite figured out the key to winning the lottery? There’s still hope! 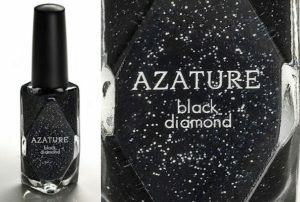 AZATURE also created a polish that features a real black diamond and retails for $25. The lower-end (yes, lower-end $25 nail polish) version comes in AZATURE signature black and finishes in a glittery sheen that resembles the black diamonds the brand is known for. The lower-priced nail polish will be available at Fred Segal beginning August 2012.